Joseph Veleno returns home to Saint John on Friday night in what will most likely be his last QMJHL game in the city that he called home for most of his junior career. Veleno, selected by the Detroit Red Wings 31st overall in the 2018 NHL Draft, first crossed a draft stage when the Sea Dogs selected him 1st overall in the 2015 QMJHL Entry Draft. He was the first and only player to ever receive Exceptional Status in the QMJHL and only the fifth in the CHL. Veleno compiled 114 points in 138 regular season games with Saint John, all by the age of 17. He also enjoyed post-season success with 18 points in 25 playoff games. He was part of the Port City squad that won the President Cup in 2017 and put up 3 goals and 4 points at the 2017 Memorial Cup in Windsor, Ontario. Veleno returns to Saint John wearing red, white, and black as the leading scorer of the Drummondville Voltigeurs. He sits 20th in QMJHL scoring with 27 points in 20 games this season. He also returns home to face a very different Saint John team from the one that he won the Cup with. 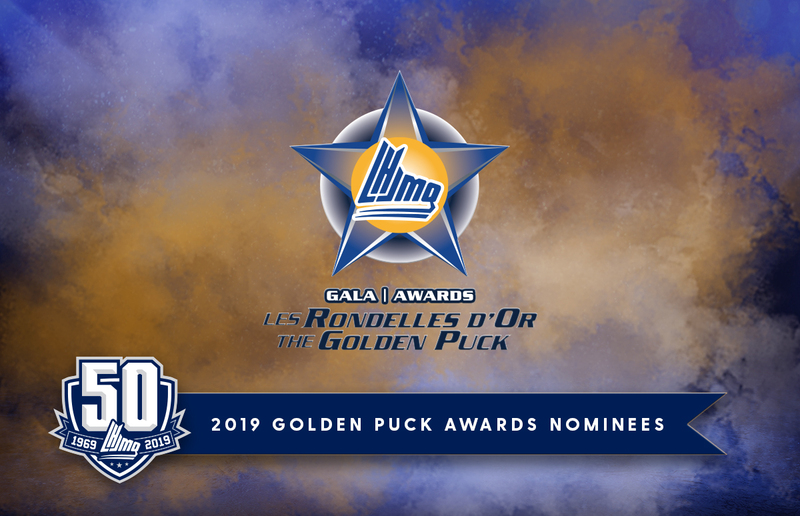 Of that championship squad, only goaltender Alex D’Orio remains as the Sea Dogs are at the rebirth stage of the junior hockey cycle. It was just a year ago, at this time last season, that rumours began to swirl about Joseph Veleno’s future in Saint John. On December 8th, unofficial word broke of a blockbuster deal between Sea Dogs President and GM Trevor Georgie and then Drummondville GM and Head Coach Dominique Ducharme, now Assistant Coach with the Montreal Canadiens. Sea Dogs Captain Joe Veleno was heading to Drummondville for one of the biggest hauls in CHL history. The deal was completed in Gatineau, Quebec during the Midget AAA Challenge and got the hockey world talking. The young star would join a contender for two championship runs and the Sea Dogs would officially begin their teardown, loading up on picks to build for their next championship cycle. Not only are blockbusters rare, but this one has the makings to actually work out well for all involved. Veleno, who no longer fit the Sea Dogs cycle would play for a contender close to his hometown. Ducharme got the young but experienced star he coveted. Georgie, who had long been rumored to be demanding five first round picks for his captain, ended up getting pretty close to that asking price – three first round picks and two second round picks. 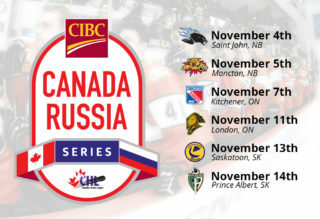 Drummondville now comes to Saint John second in its conference and fifth in the overall standings, while the Sea Dogs sit at the bottom of the league. But the Dogs won’t be there for long with already one of the best young groups in the CHL, and loaded with picks for the next two drafts. 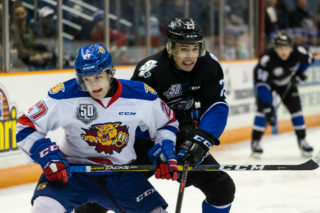 With the 2019 1st round pick, the Sea Dogs drafted an elite offensive defenceman in Jeremie Poirier. Poirier stood out at the World Under-17 Hockey Challenge in Saint John, so much so that hockey analysts already have him ranked in the first round of the 2020 NHL Draft. With their 2019 2nd round pick, the Sea Dogs drafted skilled and feisty centre Brady Burns who has 4 goals and 8 points so far in his rookie campaign. There is still plenty to look forward to. 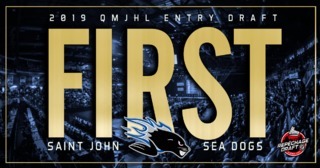 The Sea Dogs have the Armada’s 1st round pick in 2019, which would be 5th overall if the QMJHL Entry Draft began today. In 2020, the Sea Dogs have Drummondville’s 1st round pick, which could be a lottery pick based on where the Voltigeurs are in their cycle. Finally, the conditional 2nd round pick in 2020 also bodes well for the Sea Dogs. If Drummondville cannot get the Sea Dogs a 2019 2nd round pick to swap with them for the 2020 2nd round pick, then the Sea Dogs not only get to keep the 2020 2nd round pick, but they also receive an additional 3rd round pick in 2020. 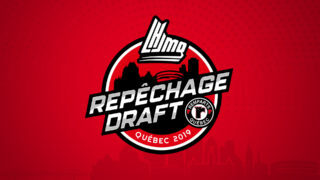 With Drummondville GM Stéphane Desroches going for it this year and picks hard to come by, Saint John may end up with not five but six picks for the former face of their franchise. 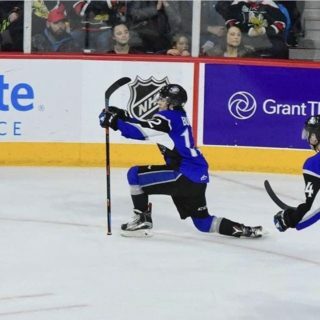 It may not be easy for Sea Dogs fans to watch Joe skate around Harbour Station on Friday night wearing different threads but the future is very bright for Sea Dogs fans… and the future is now for the Voltigeurs.